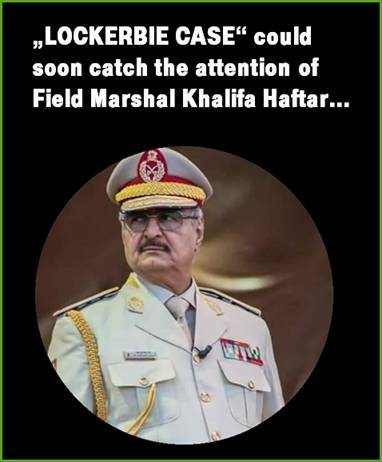 General Khalifa Haftar and the Libyan 'National Army' (LNA) could soon play an important role in the Lockerbie case by a possible request for an UN Investigation order > International Legal Aid against Scotland UK, concerning the fraud of evidence in the Lockerbie case, deliberatly staged by Scottish Officials and responsible for a damage to the Libyan State and its People > over US$ 40 billion > by miscarriage of Scottish Justice > through Evidence Fraud! In the name of the State: The truth (PII) remains covered in a document under national Security... why ? At the first hearing on the 19th of October 2007 the Appeal court in Edinburgh suddenly confirmed after more than 3 months the existence of a document "under national security"; but keeps ist content closed. Lord Advocate Elish Angiolini QC agreed on the 20th of February 2008 to open the secret document but the UK Government by Advocate General Lord Davidson, QC, - Westminster's representative in Scottish matters - refused so and argued that it was not in the public interest to release the secret document. He claimed higher national interests: "The national security was at stake"!!! Prosecuting counsel Ronnie Clancy added that the secret document did not originate from the USA or one of is agencies as the CIA. In the name of the State: The truth (PII) remains covered in a document under national Security... why ??? Prosecuting counsel Ronnie Clancy added that the secret document did not originate from the USA or one of ist agencies as the CIA. On the search for the truth in the "Lockerbie Affair " the Scottish Judiciary felt, at last forced, among other things by the pressure of a new appeal about a possible misscariage of justice in 6 Points - that it was important to apply for the guaranteed European Investigation Order - at the Federal Republic of Germany, Legal Assistance. After an investigation requested by the Scottish Parliament into possible criminal activities by employees of the Scottish Police, in the "Lockerbie case "- after over 4 Years - did not find negative behaviours by Scotisch Police. Therefore it is good that the search for the truth by the Scottish Justice will continue. 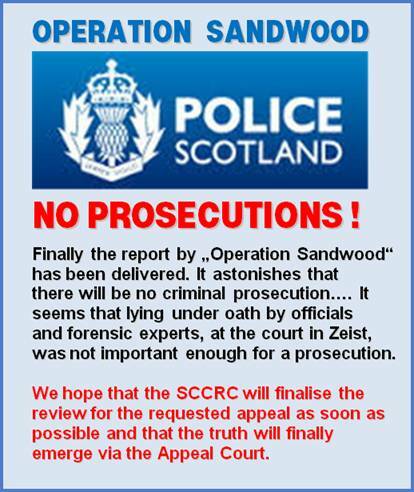 The fact that Scottish Police were investigating possible Criminal Offences of its own staff by the « Operation Sandwood « was not a good idea from the very beginning. It would have been easy to find out that several officials and experts made false testimonials under oath at the court in Zeist. 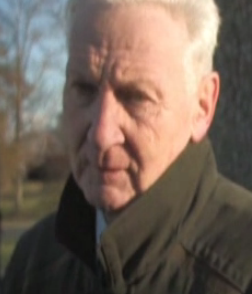 After all they will finaly have to accept that No LIBYAN NATIONAL was involved in planning or executing in bombing of flight PanAm-103 over Lockerbie..
We hold former Detective Chief Superintendent Stuart Henderson, Scottish Police, in best memory and express here our condolences to his Family and also to the Police in Scotland. Apologies it is not appropriate here, but we also remember his responsibility - that Mr. Abdelbaset Al Megrahi and Libya, could to this day be legally accused for the bombing on PanAm 103 over Lockerbie - by his lies and handing over a fake MST13 Timer Fragment (PT35/b) to the FBI/CIA on June 1990. 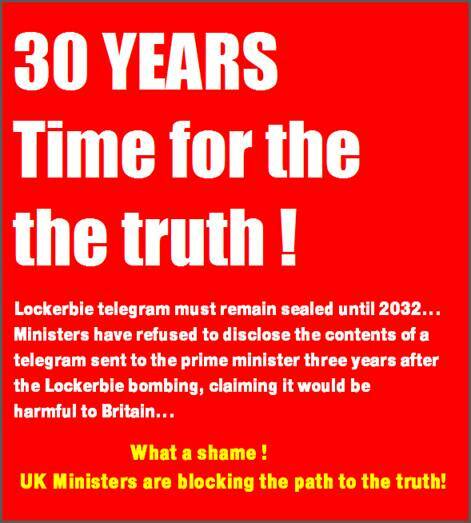 No LIBYAN NATIONAL was involved in planning or executing in bombing of flight PanAm-103 over Lockerbie! The evidence of the two manipulated MST-13 fragments has the potential to overthrow the Court verdict and lead to claims for compensation of around US $ 50 billion. 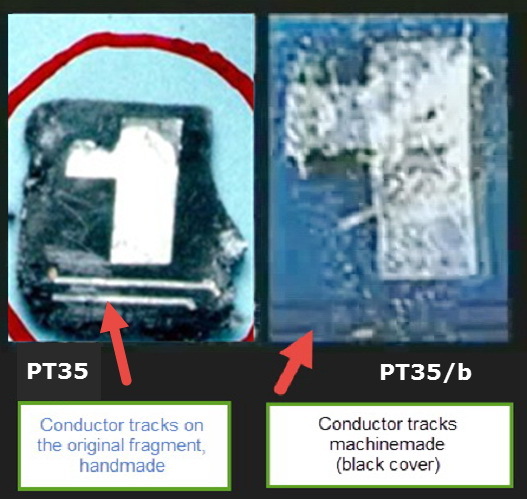 LOCKERBIE INVESTIGATION: Because of this "Scottish evidence of fraud", using two (2) manipulated MST13 Timer Circuit Bord fragments, picture (PT35, left and PT35/b, right), the State of Libya (then Libya Jamahiriya) suffered from a damage for political reasons of US $ 50 billion, including compensation for Mr. Abdelbasset Al-Megrahi, who was sentenced to 27 years in prison, of which he spent nearly 10 years in custody! The Gaddafi Foundation 'GIFCA', by Saif El-Islam, in Geneva, Switzerland; US $ 2.7 billion payments to the families of the 270 victims, due to the crash of PanAm 103 over Lockerbie; MEBO Ltd. & Edwin Bollier, US $ 32 million + 5% interest + US $ 200 million; and possibly Air Malta for causal damage? Nota bene: No LIBYAN NATIONAL was involved in planning or executing in bombing of flight PanAm-103 over Lockerbie.